Dialectical Behavior Therapy is an interestingly named treatment. With no prior knowledge of what it is, it would be hard to figure out what it is a treatment for! If you’re as lost as I was when I first heard the term, then you’ve come to the right place. In this piece, you will learn what DBT is, how it works, and some of the most useful and applicable components of treatment. Whether you are someone who is thinking about participating in Dialectical Behavior Therapy, a therapist who is looking for DBT worksheets with clients, or just a curious individual, read on to learn more about it! DBT vs. CBT: How Do They Differ? What Is The Diary Card All About? What is DBT’s Role in Mindfulness? 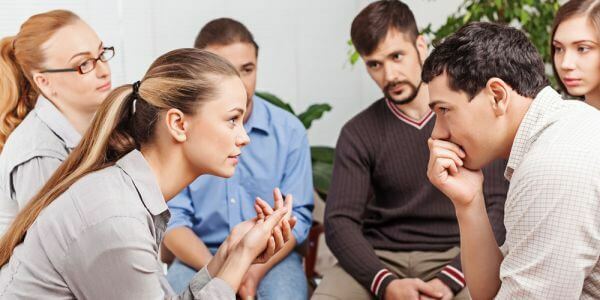 Dialectical Behavior Therapy (DBT) is a type of cognitive behavioral therapy that focuses on the psychosocial aspects of therapy, emphasizing the importance of a collaborative relationship, support for the client, and the development of skills for dealing with highly emotional situations (Psych Central, 2016). DBT was created for the treatment of individuals struggling with suicidal thoughts but has matured into a treatment for a range of other conditions that involve dysfunctional emotional regulation. It is currently considered the “gold standard” for borderline personality disorder and has even been applied to the treatment of substance abuse and eating disorders (Linehan Institute, 2016). These individual sessions are an opportunity for the therapist and client to address the issues and solutions that came up over the last week, with special attention paid to self-destructive or potentially self-harmful behaviors. These behaviors are targeted not only because they are inherently worrisome, but also because they can seriously disrupt the treatment process and undermine treatment goals. Clients and therapists work as a team in these individual sessions, with the focus on learning and improving social and coping skills. They may also discuss more general issues relevant to improving the client’s quality of life, or more specific issues like post-traumatic stress disorder. These four skill modules cover a wide range of useful skills that can be applied in daily life. The skills in this module are related to interacting with others, especially in difficult or potentially damaging situations. These skills are intended to help clients function effectively when trying to change something (e.g., making a request) or in trying to resist changes (e.g., refusing a request). The intention is to aid the client in meeting their goals in each situation while avoiding any damage to the relationship or to the client’s self-respect (Psych Central, 2016). This module includes skills that are extremely important yet often overlooked: skills relating to accepting, tolerating, and learning from suffering. Many other mental health treatment regimens focus on avoiding pain, changing difficult situations, or walking away from circumstances that cause suffering, but the distress tolerance skills taught through Dialectical Behavior Therapy focus on dealing with the pain and suffering that is inevitable to the human condition. In addition, there are many skills that relate to accepting and tolerating the current situation, like radical acceptance and willingness vs. willfulness. Many clients who participate in DBT are struggling with personality or mood disorders and can benefit immensely from emotion regulation skills. Readers of this blog are likely already aware of the numerous mindfulness-related skills that can benefit them in their daily life. These skills include “what” skills or skills that answer the question “What do I do to practice core mindfulness skills?”, like observing, describing, and participating. There are also “how” skills or skills that answer the question “How do I practice core mindfulness skills?”, like non-judgment, and practicing “One-mindfully” and effectively. Many of these mindfulness skills feed into skills from the other modules; for example, the nonjudment encouraged in mindfulness is also encouraged in distress tolerance, and the observing and describing skills can be helpful in identifying and labeling emotions. 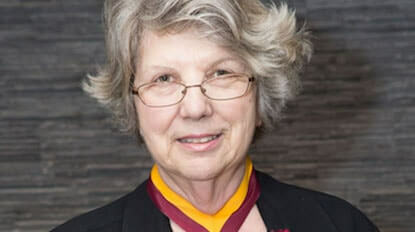 Dialectical Behavior Therapy was developed by Dr. Marsha Linehan, a Professor of Psychology and adjunct Professor of Psychiatry and Behavioral Sciences at the University of Washington and Director of the Behavioral Research and Therapy Clinics, a research consortium that explores treatments for severely disordered and suicidal individuals (Linehan Institute, 2016). It is clear from Dr. Linehan’s ventures that she is dedicated to promoting effective and accessible resources for the treatment of individuals who are struggling. Dr. Linehan founded Behavioral Tech LLC, an institute focused on developing and sharing treatment tools for DBT training, consultation, and treatment. Behavioral Tech Research, Inc., was also established by Dr. Linehan in an effort to incorporate online and mobile technology into the successful practice of DBT. Dr. Linehan approaches her scientific research and development from a perspective that is relatively uncommon in the sciences: one based in spirituality. She has trained with a number of spiritual leaders and influential thinkers, including a Zen master. This may help explain her affinity for mindfulness, which grew to prominence through a collaboration of traditional Buddhist philosophy and the modern scientific paradigm (Linehan Institute, 2016). You may be thinking that Dialectical Behavior Therapy sounds a lot like cognitive behavioral therapy (CBT) in general. Of course, DBT is a type of CBT, so similarities are understandable. But DBT also has distinct features that set it apart from most CBT approaches. DBT, like CBT, focuses on helping people address their dysfunctional thinking and behavior through modification of their thought patterns and, through changing their thoughts, their behavior as well. However, CBT is usually confined to a limited period of time and is often applied with one or two specific goals in mind. On the other hand, DBT narrows the focus to the psychosocial aspects of daily life. Many people have trouble with their thought and behavior patterns, but these issues are often at their most disruptive in the context of relationships with others. DBT was created to approach treatment from this angle, one that is often incorporated in general CBT but is not typically the main focus (Grohol, 2016). This emphasis on relating to others is what explains the DBT-specific treatment component of group therapy sessions. 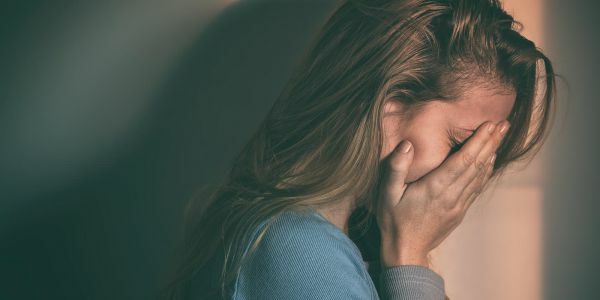 The benefits of additional therapy to the treatment of severe emotion regulation dysfunction are clear, but it’s the group aspect that really helps explain its importance. Adding group dynamics to the learning setting offers clients an opportunity to practice relational skills in a safe and supportive environment, a practice which has been shown to be extremely effective. DBT also differs from general CBT in the use of clients’ history. Both incorporate the past in striving for a healthier future, but this discussion is not a focus of the therapy in DBT as it often is in CBT (Grohol, 2016). The perspective of DBT is that one can learn from their past, but that problems are inevitably rooted in current thoughts and behaviors, and the present is where these will be addressed. The essential Dialectical Behavior Therapy skills are categorized into the four skill modules as outlined below. We won’t go into all of them in detail, but these are the main skills and techniques applied in DBT. As you can see, acronyms are front and center in DBT treatment, in part because it makes remembering these skills in important moments easier. You may also notice that many of these skills are generally considered effective skills, rather than specific skills for specific problems. While Dialectical Behavior Therapy focuses on the treatment of severely distressed individuals, the means of working towards these goals are not mystical or mysterious. The methods of furthering treatment are grounded in common sense and the straightforward practice of skills. In fact, these skills are so generally applicable that many of them have practical applications for everyone. 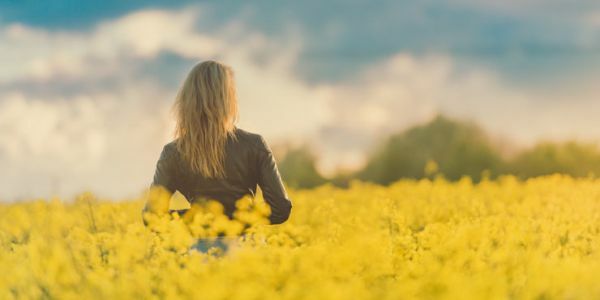 Mindfulness is such a simple but beneficial practice that it’s hard to sum up the potential positive impacts in one section, let alone one article (but we gave it a shot anyway – see our piece on the benefits of mindfulness here). Mindfulness can be described as simply living your life in the present instead of being stuck in the past or the future (Tartakovsky, 2015A). Practicing mindfulness helps us become more aware of our thought patterns, our emotions, and how our thoughts and feelings affect our reactions to events. If your mind has you jumping on the thought train (i.e., one thought leads to another, which often leads to a “should” thought, which can lead to judgment), try to detach yourself from the thought by telling yourself about the thought you are having (e.g., “There’s a thought about the errand I need to run after work”). This can help you refocus on your current practice and remind yourself that you have thoughts, but you are not your thoughts (Tartakovsky, 2015A). If you’re interested in learning more about how to practice mindfulness, check out our post on mindfulness exercises and techniques here. This is an important skill that provides obvious benefits for those struggling with emotional dis-regulation, but can also benefit the average person. Accepting reality is an effective antidote for a common problem in our society: struggling against the pain and suffering that is inherent to life as a human. DBT and Acceptance and Commitment Therapy (ACT) have this in common – both teach that accepting our reality, including the unpleasant aspects of it, is the only way to thrive. This skill can be harder to practice and build than it seems since there are all sorts of sneaky ways we find to deny the reality of our situation. Observe that you are fighting the reality of your situation. Acknowledge that you are reacting to something that you cannot change. Remind yourself what the reality is, even if it’s difficult or upsetting. Consider the causes of the current reality and incorporate the skill of non-judgment to remind yourself that this is a random occurrence set in motion by a million other factors that are outside of your control. Accept this reality with your whole being, or your mind, body, and spirit. Pay attention to the bodily signs of fighting reality (e.g., posture, “fight-or-flight” response) as well as the spiritual signs (you may “know” that this is real, but you don’t “feel” like it’s real). These steps are by no means exhaustive or required to accept reality, but they can be helpful in the moment. 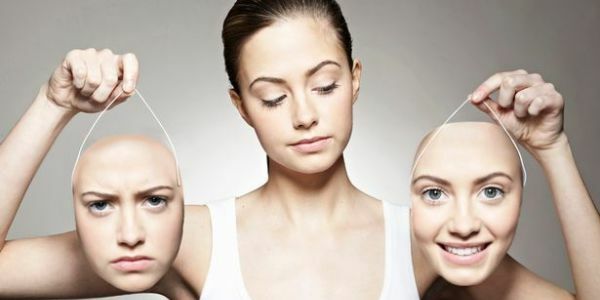 Dialectical Behavior Therapy’s radical acceptance technique can help in these situations. It can be difficult to accept pain, but fighting the reality of your pain only creates more pain, and this pain is optional. Instead of fighting pain, radical acceptance offers a way to accept it and address it. This explanation shows us that not only can radical acceptance help us accept the reality of things that we cannot change, it can also help us to realize what can be changed. 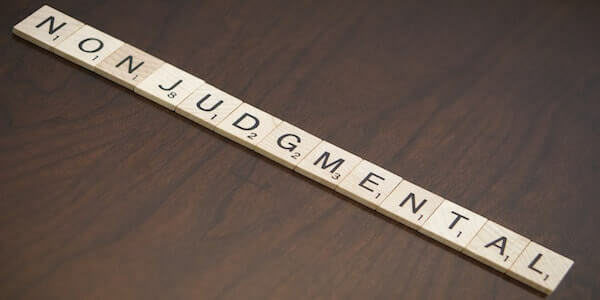 The art of being non-judgmental is one that takes practice, but the payoffs can be immense. Being nonjudgmental means that you avoid assigning value to events and feelings. Instead of facing a difficult situation and thinking “This is awful,” practicing non-judgment allows us to take a step back and realize that the value judgments we make are based on facts (the facts of what is happening) and the emotions we are feeling in reaction (Tartakovsky, 2015B). When you break a judgment down into a fact and your emotional reaction, you not only reduce the emotion(s) you are feeling, you can also be empowered to think about ways to solve the problem and make healthy decisions. Say you are thinking about how selfish your significant other is being right now. Instead of stopping at “My partner is so selfish,” practicing non-judgment may lead to articulating the issue (“My partner is not helping me with this problem, and that makes me angry and disappointed”) and finding a way to solve it (“This is not a wise use of my time and energy. I will talk to my partner about how his/her unwillingness to help me with this problem makes me feel, and try to negotiate a solution with him/her.”). Handling emotional situations in this manner can not only help you reduce your emotional reaction and find smart solutions to problems, it can also improve your self-esteem and self-respect when you handle the issue in a way that makes you proud of yourself (Tartakovsky, 2015B). You’re probably thinking that these skills sound really helpful and effective, but you may not be sure how to begin learning about and practicing them. This is where Dialectical Behavior Therapy worksheets, handouts, and manuals can prove to be extremely effective tools in building your skills and improving your ability to accept your situation, deal with difficulty, and solve problems. The incredibly helpful websites www.therapistaid.com and https://ilovedbt.com offer tons of resources to help you work through some of your own issues or those of your clients. You should check out the websites yourself to search for useful worksheets and handouts, but we’ll go over some of the most popular and effective ones below. This handout lists and describes the interpersonal effectiveness skills we outlined earlier, and also provides useful tips to put these skills into practice. Use clear and concrete terms to describe what you want. Let others know how a situation makes you feel by clearly expressing your feelings. Don’t expect others to read your mind. Don’t beat around the bush—say what you need to say. 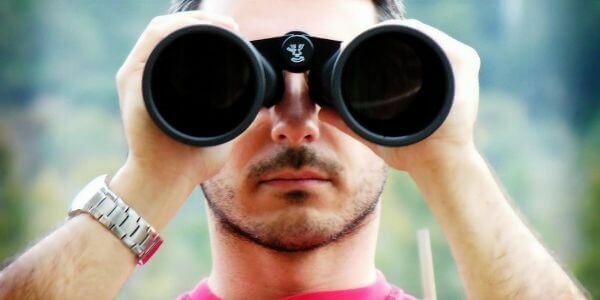 Reward people who respond well, and reinforce why your desired outcome is positive. This can be as simple as a smile and a “thank you”. Don’t forget the objective of the interaction. It can be easy to get sidetracked into harmful arguments and lose focus. Consider your posture, tone, eye contact, and body language. No one can have everything they want out of an interaction all the time. This worksheet describes the concept of the “wise mind” as the intersection between the emotional mind and the reasonable mind. It is a balance between the two minds and is characterized by the ability to recognize and respect your feelings, but also respond to them in a rational manner. The worksheet offers space to describe an experience that you have had with each of these three “minds” to further your understanding of the minds and how they have come into play in your life. While this webpage is not laid out as a worksheet, it could easily be adapted into a worksheet, and the lesson it teaches is a valuable one. It starts with a mini flow chart on identifying the emotion you are feeling and deciding how you can respond. The “opposite action” from above is based on the emotion you are feeling. The next section of the webpage dives into the emotion when it “fits the facts”, and what the opposite action is. 1) Your life or that of someone you care about is threatened. 2) Your health or that of someone you care about is threatened. 3) Your well-being or that of someone you care about is threatened. 1) Do what you are afraid of doing over and over again. 2) Approach events, places, tasks, activities, and people you are afraid of. 3) Do things to give yourself a sense of control and mastery over your fears. This flowchart and the “check the facts/opposite action” section could make an excellent worksheet for therapists and other mental health professionals! This worksheet helps you to identify and understand a situation you are struggling to accept. Next, you describe the part of this situation that is difficult for you to accept. Then you describe the reality of that situation. After describing the reality, think about the causes that led up that reality (hint: many of them you will find to be outside of your control). Finally, you rate your distress tolerance about this difficult situation both before and after practicing radical acceptance, on a scale from 0 (you just can’t take it) to 100 (total acceptance of reality). See the worksheet here Radical Acceptance Worksheet PDF to give it a try for yourself or print it out for your clients. This worksheet Function of Emotion Worksheet PDF helps you to identify the function of an emotional reaction you have had over the last week. 1) What was the prompting event? 2) What was your interpretation? 3) What was the emotion and intensity (0-100)? These questions aid the individual in making the connections between a galvanizing event and the reaction s/he had to the event, as well as understanding how the emotional reaction impacts the self and others. For more useful worksheets and handouts, visit the two websites listed above or this website. If you’re looking for a more in-depth exploration of applying Dialectical Behavior Therapy as a therapist or other mental health professional, there are a couple of manuals that you may find very useful, especially when working with special populations. For a resource that can help you apply general DBT treatment, check out this manual from Dr. Linehan herself. It’s not free, but it is an extremely valuable resource for applying DBT with your clients. This manual is separated into two parts: the first describes DBT and provides instructions on how to set up a treatment program and manage the problems that can arise, while the second gives detailed notes on teaching each DBT skill. Check out the manual, buying options, and reviews from some very satisfied readers here. This manual by Eric J. Dykstra and Margaret Charlton outlines how to apply DBT for clients with intellectual or developmental disabilities. This is an important manual for an often overlooked population in the realm of psychological treatment. Unfortunately, we all are vulnerable to emotional dysfunction and distress, even (and perhaps especially) those with the added difficulty of intellectual or developmental disabilities. It includes an overview of DBT in general and DBT for general populations, the Standard DBT Model and the adapted model for clients with disabilities, tips on how to format sessions and content to include, and a number of worksheets, handouts, and other resources to improve the effectiveness of DBT with clients who are intellectually or developmentally disabled. Follow this link to download the manual. The diary card is an important component of Dialectical Behavior Therapy and an effective way for clients to learn about themselves. Sounds like a great tool, right? The diary card may also include space for a general rating for the day and any medications or substances used (legal or illegal). The client is encouraged to fill out this card regularly and faithfully. While it is important that the client does so, they should know that no one is going to score them or judge them based on their diary card. It is not an assignment to be completed and graded, but a way for them to track their experience and evaluate their progression through DBT treatment and, hopefully, self-improvement. As with most problems or issues, technology is making an impact on how we deal with them. 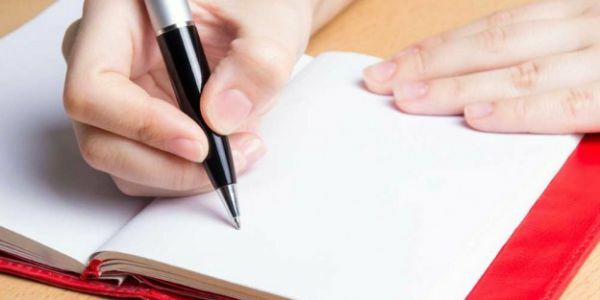 If you hate to waste paper, don’t like getting ink on your hands, or just get tired of writing, there’s a diary card app that you can use instead. Check out the app created by a licensed clinical psychologist here. If you’re interested in learning more about Dialectical Behavior Therapy, as a client, therapist, or just a curious person, there are several books available. Listed below are some of the most popular and highly reviewed books on DBT out there, and they’re all available for purchase on Amazon.com. This book has an impressive 4.5-star rating based on almost 650 reviews on Amazon. 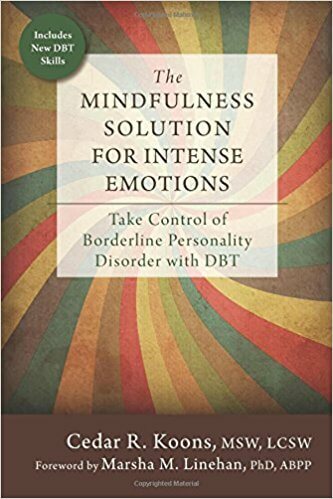 It walks the reader through descriptions of DBT and how it can help, introductory exercises, and more advanced skill chapters. This can be an excellent resource for any individual considering DBT or for therapists to recommend to their clients. This guide to DBT is intended for therapists and mental health professionals looking to learn more about how to effectively apply DBT for their clients. It includes a section on the theory and research behind DBT and how it grew from traditional CBT approaches, as well as strategies for working with clients, an explanation of the four skill modules, and several handouts, case examples, and some sample therapy dialogue. 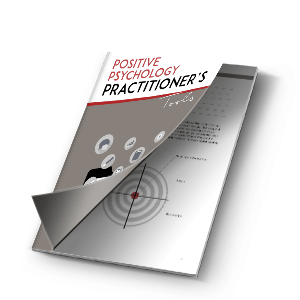 This book is intended for individuals rather than therapists, although therapists may find the book to be a useful tool to recommend for their clients. It teaches readers about the seven powerful skills related to mindfulness and emotion regulation that can help people cope with a borderline personality disorder (BPD), post-traumatic stress disorder (PTSD), severe depression, and other emotion regulation problems. This is another resource for individuals struggling to cope with emotion dis-regulation. The description promises that the book will teach readers how to “Establish a balanced life for an everyday sense of well-being, let go of unwanted worries and fears, become better at accepting yourself and others, and work through a crisis without letting emotions take over.” With a rating of over 4.5 out of 5 stars from nearly 50 customers, it sounds like the description is accurate. These books are an excellent start to learning about DBT and applying the skills in your life or your clients’ lives, but if you’re looking for even more, visit this website to learn about other helpful books. There are several ways to work toward these goals. We all have emotions, but there is a theory that there are only a few basic emotions while the rest is learned. They come and go like waves, but they can be self-perpetuating. You can work on your skills related to interpreting emotions by completing a writing challenge described here. Emotions involve action urges, prompts to perform certain behaviors. These urges are not part of the emotion but can feel like they are. There is often a prompting event, followed by interpretation, body changes in response to the emotions, and action urges. This can lead to an effective or dysfunctional expression of emotions, which can have a wide range of consequences. 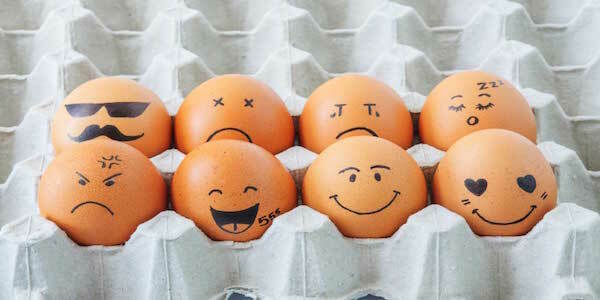 To work on describing emotions, try to describe the qualities of your emotions and pay attention to things that may interfere, like secondary emotions that spring from the original emotion. Follow this link for more information on describing emotions. (3) they can be self-validating. We are all vulnerable to negative emotions, but we can build our skills related to reducing vulnerability. You can keep track of the factors that affect your physical and mental well-being, like your diet, any mood-altering drugs, sleep, and exercise. Refer to these skills in the emotion regulation module for more information. 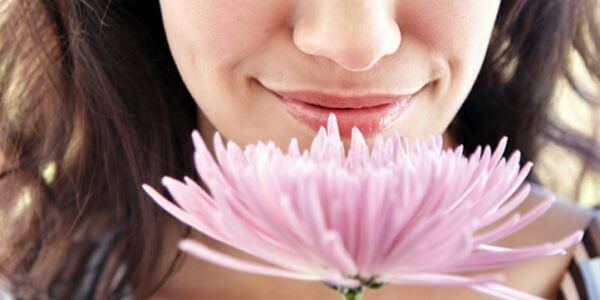 Increasing positive emotions can be an effective method for dealing with difficult emotions. To build this skill, focus on the positive experiences you have throughout the day (short-term experiences) and the bigger, more impactful ones (long-term experiences). Focus on building and maintaining positive relationships, and give mindfulness a try to savor positive experiences. 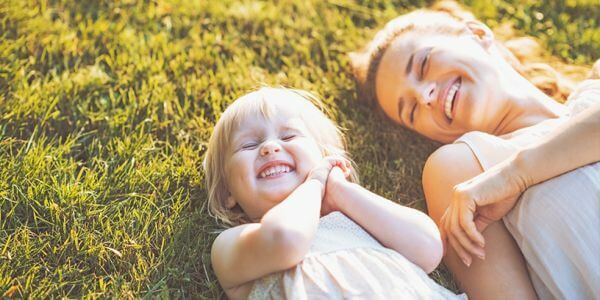 On the flipside of savoring the positive, letting go of the negative also has a place in emotion regulation. While accepting that pain happens, dwelling on negative emotions is dysfunctional. Practice observing your emotions, describing them, and accepting them, but not allowing yourself to be overwhelmed by them. See this page for more information on letting go. This technique is used to change painful emotions that are harmful rather than helpful. It is not about suppressing our emotions, but accepting the emotion and using it to take a different action. 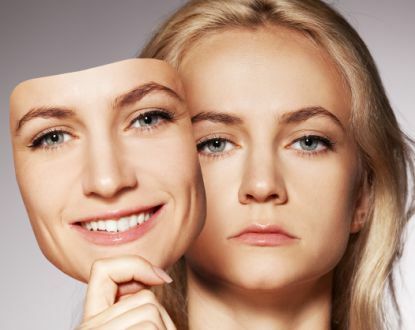 To practice this technique, list some examples of when you have acted opposite to your current emotion. Describe a situation in which it is not appropriate to act opposite to your emotion to help you learn about the difference between each situation. Check out this handout for more information. Dialectical Behavior Therapy is a recognized treatment that is well supported by the evidence. There are many ways to learn about applying DBT, but getting certified is a great option. There are courses and trainings for both individuals interested in practicing DBT and for therapists and other mental health professionals who wish to apply DBT in their work. You can also become certified through the Dialectical Behavior Therapy National Certification and Accreditation Association (DBTNCAA). This allows you to list a specialized certification in DBT when you apply to Health Care Providers and HMO networks. There are also courses available for clients and other individuals who feel they can benefit from Dialectical Behavior Therapy. For example, this course from www.coursesites.com offers a massive open online course (MOOC) that teaches students to define, apply, and discuss the four module skills. It includes over 10 hours of skill training videos, homework, discussion forums, quizzes, and diary cards to complete, and is based on Dr. Linehan’s skills training manual mentioned earlier. This excellent opportunity to learn how to apply DBT in your life is available for free to anyone who is interested at this link. Mindfulness can be practiced whether you are participating in Dialectical Behavior Therapy treatment or not, and DBT skills involve mindfulness among many others. While DBT and mindfulness are not synonymous, they are certainly linked. DBT is a therapy based on identifying, describing, and modifying thoughts and feelings. Mindfulness has clear applicability in this therapy, through its ability to help practitioners of mindfulness become more aware of their f eelings, thoughts, impulses, and behaviors (Bray, 2013A). One description of the benefit of mindfulness in Dialectical Behavior Therapy is that it provides the individual with the ability to take control of the mind instead of having the mind control the individual. 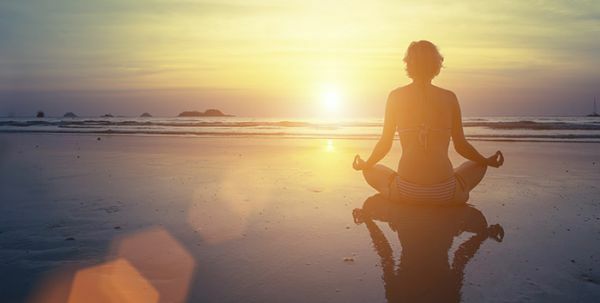 Practicing mindfulness helps the individual in DBT to direct their attention to observing, describing, and participating in a nonjudgmental way, which enhances the individual’s skills and leads to improved ability to focus on the positive, let go of the negative, and regulate emotions. 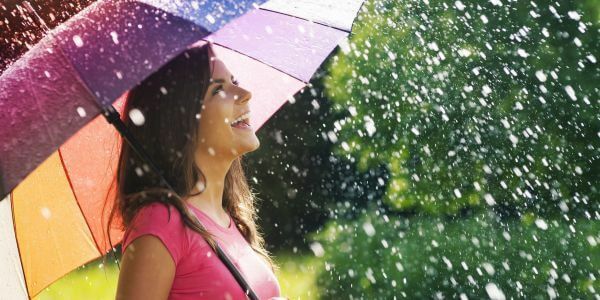 As we’ve said before, mindfulness is an extremely useful skill for individuals dealing with difficult emotions or situations, but it can be an even more effective tool for people struggling with a diagnosis. The intention of this piece was to provide an overview of Dialectical Behavior Therapy and outline the skills and tools that can help you or your clients to address emotion regulation issues. I hope it has met this goal, and that you know much more about Dialectical Behavior Therapy than you did when you started! I hope you also keep in mind that the skills involved in DBT are applicable for those that are not suffering from a diagnosed mental health issue as well. Skills like mindfulness, focusing on the positive, letting go of the negative, and accepting the reality of your situation have clear benefits for everyone, not just those who are in active suffering. Have you tried DBT? Have you applied DBT with your clients? As always, please let us know about your experiences in the comments. Grohol, J. (2016). What’s the difference Between CBT and DBT?. Psych Central. Retrieved from https://psychcentral.com/lib/whats-the-difference-between-cbt-and-dbt/ Linehan Institute. (2016). That is really interesting that DBT is a form of cognitive behavioral therapy. It would be good to have my son go to this type of therapy to help him in his cognitive processes. Maybe it would be good to talk to the doctor and see if we can set it up sometime soon. The recommended app is not available for Android. Do you have an android alternative you would recommend? Hello I am looking for this manual but the link no longer works. Do you have another contact to obtain it? It is really needed. Thanks so much! Very helpful and comprehensive, thank you! This is so thorough and easy to read. Thank you! I am writing my paper on DBT for one of my classes in Mental Health Counseling where I will graduate as a CPC ini July of 2018. Thanks for your comment, Kathleen! That’s so good to hear that you found it both thorough AND easy to read. Congratulations on your upcoming graduation, and good luck in your last semester! This resource on DBT is clear, concise and I’m definitely going to implement some of it in my practice . The explanation of what dbt is the best I’ve come across . Thank you for including this in the weekly newsletter ; I’m grateful to have stumbled upon your site last year – awesome! Thank you for your comment Lesley. I’m so glad you enjoyed this piece!